Global Perspectives on the Biology and Life History of the White Shark was inspired by the International White Shark Symposium in 2010, and incorporates the most important contemporary research findings into a single peer-reviewed book. This beautifully illustrated reference represents a historic change in the context of White Shark (Carcharodon carcharias) research. Formerly, the introduction of White Shark research papers included the obligatory statement that this species is rarely the focus of comprehensive studies and little is known of its basic biology and life history. 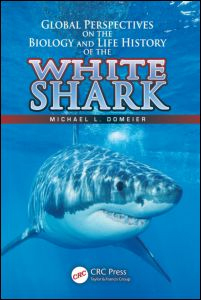 Thanks to great strides in technology and an increased focus on this species, this timely book brings the White Shark from obscurity to the most studied shark in the ocean. PLEASE NOTE: This book is Print On Demand and can take up to 1 month to ship. PLEASE NOTE: We are currently not able to accept Canadian orders.